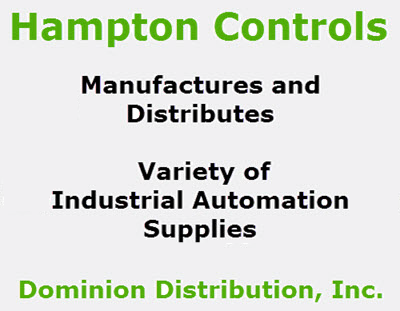 Hampton Controls offers a variety of custom built motors for your DC Motor Controllers. The 3200 Series and the S600 Special Series have a 48C frame body with a 56C frame shaft. 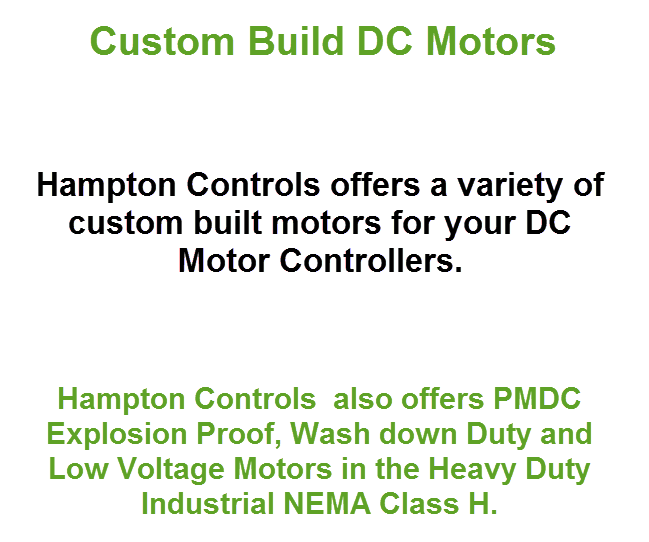 Hampton Controls also offers PMDC Explosion Proof, Wash down Duty and Low Voltage Motors in the Heavy Duty Industrial NEMA Class H.
Hampton 3200 and 8000 Series: Industrial Heavy Duty, Nema Class H, 180 degrees C (356 degrees F) maximum temperature at the hottest spot. Hampton 600 Series: Industry Duty, Nema Class F, 155 degrees C (311 degrees F) maximum temperature at the hottest spot. Temperatures are total, starting with a maximum ambient temperature of 40 degrees C (104 degrees F).